La Folie: GIVEAWAY GIVEAWAY GIVEAWAY!!!!!!!! 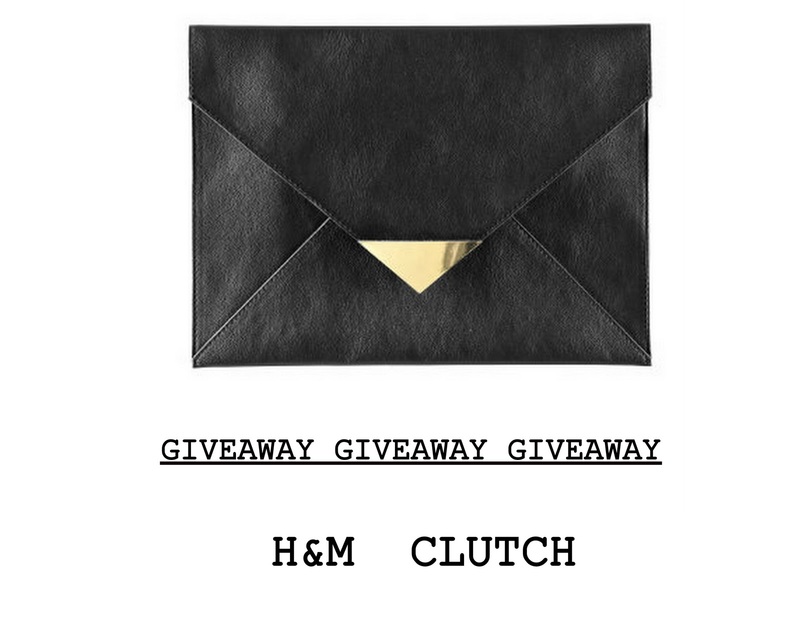 Hi People this is my new little Giveaway for you, an elegant stylish H&M clutch!!!!! 4. Please leave a COMMENT on the Post including your email address ! The giveaway will last until November 23, 2011. Great clutch! I'll try and enter during the weekend since I don't have Bloglovin just yet. Hey Heeyy danke für dein Kommentar und die art und weise zukombinieren ist auch toll.. Thank you very much for the giveaway! I love the clutch. Following you via GFC (ChiChi81) and Bloglovin' (I'm follower #55); Liked your FB page using my blog's FB Page (A Single Girl's Musings). hi! thanks for visit my blog! I like your blog so much, and now I follow you. I like a lot this cluth! 1 : i have not bloglovin. 2 : GFC ; Brown SUgar. 3 : Facebook : Nora Make Up. Quiero participar¡. Es una monada¡.